The CW has released a preview for "True Colors", the thirteenth episode of The Flash's fourth season. The episode will see the fallout from this week's final scene, which saw Barry Allen/The Flash (Grant Gustin) being kidnapped by Warden Wolfe, and sold to Amunet Black/The Blacksmith (Katee Sackhoff). As the promo showed, Barry will be stuck inside a sort of metahuman prison, alongside some of this season's earlier villains (namely Sugar Lynn Beard's Becky Sharpe/Hazard). The promo doesn't hint too much about what situation Barry will be in, or how he will get out, but it's clear that Iris West-Allen (Candice Patton) and the rest of Team Flash will be worried about his absence. So, how will The Flash deal with the newest threat from Amunet Black? Fans will just have to stay tuned to find out. "I don’t think that Amunet is inherently evil." Sackhoff told ComicBook.com last year. "I just think that she is a businesswoman and she’s an opportunist. And right now, she just is mean. And will kill you. But she also really enjoys her job, you know? I mean, that’s the thing that I love about her, is that she’s evil because she likes it. It’s fun." You can check out the official synopsis below. After hearing that Amunet (guest star Katee Sackhoff) has struck a deal to buy all of the metahumans in Iron Heights, Barry (Grant Gustin) must decide if he should expose his powers in order to save his cellmates. After a visit from an old friend, Ralph (guest star Hartley Sawyer) is reminded of his shady past and wonders if he’s really a changed man. Tara Nicole Weyr directed the episode written by Jonathan Butler & Gabriel Garza. 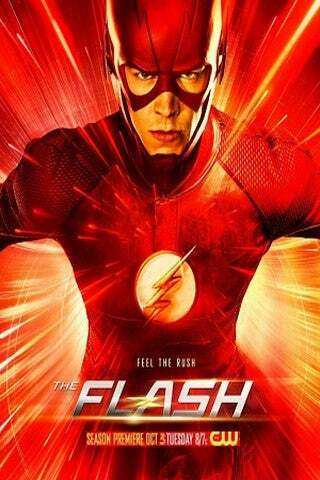 The Flash airs on Tuesday nights at 8 p.m. ET/PT on The CW. "True Colors" premieres on February 6.